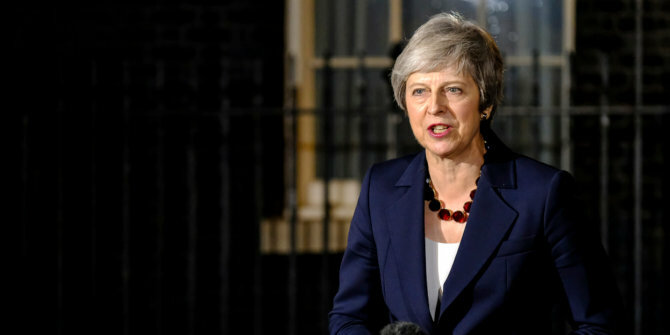 Theresa May’s government won a confidence vote on Wednesday, 24 hours after the Prime Minister’s plan for Brexit was rejected. Benjamin Martill and Leo von Bülow-Quirk argue that amidst the confusion that now hangs over the process, there are three avenues available: to make piecemeal modifications to the initial Brexit agreement in the hope of winning parliamentary support, to try to conduct a substantive renegotiation with the EU, or to reach out to the opposition and attempt to secure a compromise that can overcome the adversarial structure of British politics. Here we go again. On Tuesday the ‘mother of all parliaments’ inflicted the mother of all defeats on the government, rejecting Theresa May’s painstakingly negotiated withdrawal agreement by a huge majority of 230. Not since the 1920s has a sitting government been so roundly defeated in the Commons, and never on the most pressing matter affecting the country. The result is greater political uncertainty than ever before and the looming possibility of a no deal Brexit by 29 March. How did we get here? In our view, it is down to the institutions and political culture of Westminster, which venerate adversarialism over consensus-building and tub-thumping rhetoric over truth-seeking or problem solving. Historically, it has been said, this system produces strong government. But it also has a critical weakness, which has been spectacularly exposed by the Brexit debate. The UK’s majoritarian system – which requires parties to link together diverse constituencies with differing viewpoints, and in which government-forming is a zero-sum game – means Westminster lacks the incentives and political culture to build compromise. Yet such compromise is critical for an issue as complex and strategically significant as Brexit. Yet despite her deal’s resounding defeat, it is likely that May will remain prime minister, at least for now. Her right-wing critics played their hand too soon by calling an internal confidence vote in December of last year, squandering their opportunity to initiate an internal change of leadership for another year. May won the general no confidence vote tabled by Labour, for the simple reason that her critics in her own party dislike the idea of a general election and a Corbyn government more than they dislike her leadership. The DUP, moreover, sticking to their ‘confidence and supply’ agreement, backed the beleaguered prime minister. The result fell neatly along partisan lines and gave a narrow victory to May. Assuming May remains in power, what options has she left? There are three potential avenues, each of which is subject to severe political constraints. First, the prime minister could stand behind her existing agreement and attempt to reintroduce it to Parliament with minimal modifications (e.g. renewed assurances from Brussels that the backstop is indeed intended to be temporary). This would not create any problems for Brussels, since it has already signed on to the deal as it stands. And, having ‘virtue-signalled’ their principles in yesterday’s vote, MPs could credibly back it in a second vote, using reassurances from Brussels and the increasing probability of no deal as justification. But this is a long shot, and the scale of the government’s defeat would require changes of heart from perhaps too large a number of MPs. Moreover, if May’s opponents on both sides stick to their guns, the end result is the worst possible outcome for all as Britain falls off the proverbial cliff-edge. Second, May could attempt to gain the support of rebels within her own party, and her partners in the DUP, who want to return to the negotiating table in the pursuit of greater concessions from the EU. Unsurprisingly, many of these MPs believe that the UK maintains the upper hand, that EU unity is a facade, and that Britain will win the game of chicken it seems to be playing with the EU if only it doubles down on the threat of no deal. The problem is that this position is based on a misreading of Britain’s bargaining power and the EU’s willingness to re-enter negotiations. The EU will be damaged by no deal, but not as much as the UK. More important, if the EU accedes to Britain’s demands, it re-opens the moral hazard question that threatens to upend the entire project. Ironically, for the EU, no deal really is better than a bad deal. Third, May could make overtures to the opposition, seeking to pass her deal with the support of Labour MPs, whose views are, ironically, closer to her own than are those of her pro-Brexit Conservative colleagues. May did indeed strike a rare contrite tone in her speech immediately following her defeat, potentially signalling willingness to compromise. A workable cross-party compromise might exist in the form of customs union membership, which forms the core of the opposition’s own Brexit demands. Renegotiating might require an extension of Article 50, but this may be more acceptable to the EU, if the desired outcome is a softer Brexit. The third option is the most workable of these and provides a route out of the Brexit impasse. But it requires all political parties to adopt a spirit of compromise which, until now, they’ve been unable to display. It is not the EU’s position that would prevent such a workable compromise. Rather it is the aforementioned adversarial structure of British politics. The greatest stumbling block is Labour’s interest in collapsing the government in order to seek a general election and return to power. But there is also the question of whether moderate Conservatives, who would in theory back a softer deal along the lines proposed by Labour, would admit as much for fear of bolstering Corbyn’s credibility and ushering in a Labour government. How do we escape from this bind, in which complex political realities are reduced to binary political allegiances and interests? All of the options are problematic, but there are a couple of ways the government could strengthen the chances of the agreement passing in the near future. Second, having worked across party lines to generate a variety of workable Brexit scenarios, the government could consider holding a referendum in which all these variants of leaving the EU are on the table under a single transferable vote (STV) system. This would confer democratic legitimacy on the terms on which Britain leaves the EU without overturning the verdict of the 2016 referendum. Note: This article is based on an earlier piece that appeared at the Dahrendorf Forum Blog. It gives the views of the authors, not the position of EUROPP – European Politics and Policy or the London School of Economics.